Are you into crafting? Turn your hobby into business earn heaps from it. Ever heard of Etsy? This is perhaps one of the coolest online marketplace of handcrafted pieces. From clothing, handbags, accessories, to home and pet supplies, it has everything artsy that you need. If you have those artistic crafts, sell them on Etsy! Not everything sells. The competition is tough. Everything can be as good as yours. 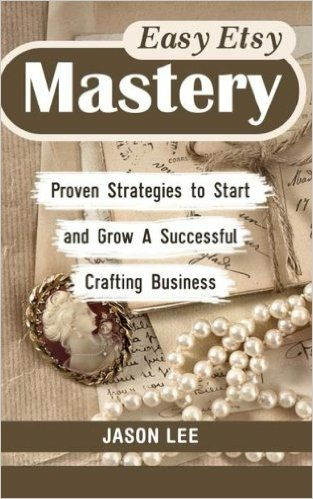 This book will help you go ahead with the competition. Everything that you need to know – what Etsy is, the reason why would you sell on this site, how to sell and price your items, as well as posting it right and presenting it – will be explained to you in detail. Presentation plus pricing is very important. While you may have really nice stuff for sale, attractiveness matters. Apart from that, this book will unleash to you the secrets of promoting your products. Hence, search engine optimization, social media marketing, and blogging techniques will be discussed too. Look no further. Have the right venture and use this book as your guide.